Sweet cherry tree pollination is done primarily through honeybees. Do cherry trees cross pollinate? Most cherry trees require cross pollination (the assistance of another of the species). Only a couple, such as the sweet cherries Stella and Compact Stella, have the ability to self-pollinate. 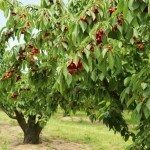 Pollination of cherry trees is necessary to get fruit, so it’s best to have a compatible cultivar planted at least 100 feet from your variety. How Do Cherry Trees Pollinate? Not all cherry trees need a compatible cultivar, so how do cherry trees pollinate? The sour cherry varieties are almost all self-fruiting. This means they can get pollen from the same cultivar to produce fruit. 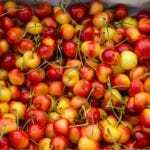 The sweet cherries, with few exceptions, need pollen from a different but compatible cultivar to set cherries. Pollinating a cherry tree in the sweet category with the same cultivar will not result in fruit. Natural reproductive systems are often described using the birds and bees analogy. 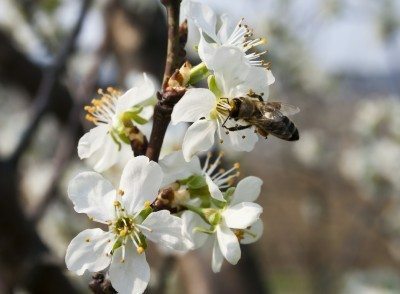 In the case of cherry trees, birds plant the seeds but bees are required to pollinate the flowers that make the fruit and seeds. This explains the how but not the who, if you will. Trees that require another cultivar will not fruit without a compatible tree. Two of the best overall matches are the Lambert and Garden Bing. These cross pollinate with the widest range of cultivars. Very few flowers are wind pollinated and a good honeybee population is also essential. There are several cultivars of sweet cherries that are self-fruitful. In addition to Stella, Black Gold and North Star sweet cherries are self-pollinating. All of the remaining varieties must have a cultivar of a different type to pollinate successfully. North Star and Black Gold are late season pollinators while Stella is an early season variety. Van, Sam, Rainier, and Garden Bing are all adaptable to any of the cross pollinators available except themselves. 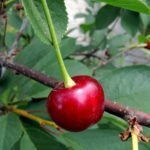 Pollinating a cherry tree when you are unsure of the variety can be done with the Lambert or Garden Bing varieties in most cases. If you have a sour cherry tree or pie cherry, you’re in luck. These trees are self-pollinating but do better with another cultivar nearby. The flowers are still pollinated by honeybees, but they can produce fruit just from the pollen on the tree. Any of the sweet or sour cultivars will increase the likelihood of a bumper crop. 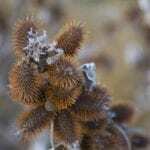 In some cases, pollination will not take place due to weather conditions. Additionally, heavily pollinated trees may abort some of the flowers before they form fruit in order to make room for healthy cherries. This is not a cause for concern though, as the plant retains plenty of blooms for a well laden tree.